All living creatures have to coordinate especially if they are of the same species and in order to do that, they require some form of communication. Majority of animals including mice use some chemical signals commonly known as pheromones; pheromones are the chemical signals produced and then received by members of the same species. Basically, mice usually rely on pheromones to communicate with each other. Some of these chemical substances are usually produced by the preputial glands of both the male and the female mice. In addition, the tear fluids and the urine of the male mice contain pheromones. Scientifically, the mice usually detect presence of pheromones using an organ known as the vomeronasal organ that is situated at the bottom of the nose of both male and female mice. The male urine is usually characterized by a very strong odor that due to the presence of pheromones whose main function is to either speed up or retard sexual maturation in females that are still juvenile. How do they communicate using pheromones? These pheromones are usually produced by the male mice so as to sexually attract the female mice; the nature of the male urine detects this fact in that if it has a very strong odor then the female immediately know that it is time to engage into sexual activity. When the females are away from the male mice, the male usually release this type of chemical signal that alerts the females, these chemicals can attract female mice from up to two miles away. These pheromones usually released by the female mice to indicate that they are ready to engage into sexual activity with the male mice. It is therefore evident that mice fully depend on this sense in order to communicate with each other. Apart from being an important aspect of sexual activity, they also use this chemical signal to mark their territory, they are usually referred to as territorial pheromones and they are produced by male mice during urination. 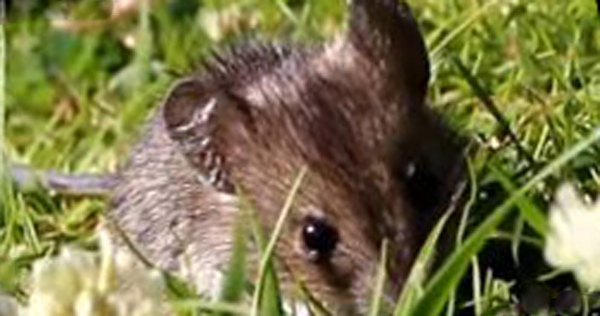 This capability has made mice to have an excellent sense of hearing. In addition, mice rely on each other in order to survive for that reason, they will always leave behind invisible trail pheromones for other mice to follow when need arises. It is therefore important to take required precautions when you get rid of mice from your home to ensure that no new mice take up residence once more. One unique factor about pheromones is that they can only be detected by members of the same species hence makes it easy to get rid of mice when they invade your home. The most important thing is to ensure that you use the best techniques to get rid of them completely Go back to the How to get rid of mice home page.